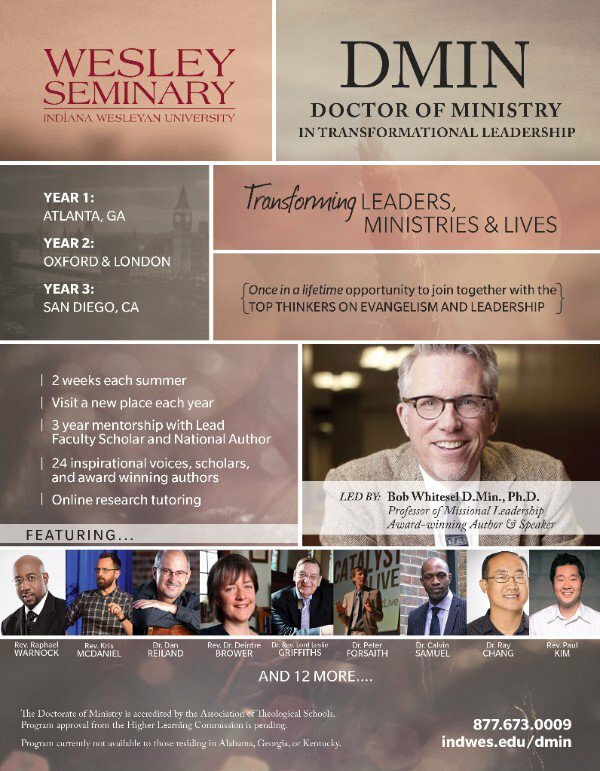 Wesley Seminary at Indiana Wesleyan University will be launching an innovative Doctor of Ministry (DMIN) in Transformational Leadership. Students in the program will learn from international speakers from around the world. The program will allow working ministers to earn a leadership doctorate while maintaining their pastoral positions. The four-year program will include online classes as well as two weeks of intensive study each June, offering students the opportunity to meet world-changing leaders in Atlanta, San Diego, and Oxford, England. To find out more about the design of the program, visit indwes.edu/dmin.